FEED Gifts 2nd Library Renewal Partnership Books to Second San Juan Community Library | FEED, Inc. This second gift of knowledge from LRP was again another 113 books packed into 4 boxes of purely children educational books, some of which are in Tagalog, others in English, and received by FEED Partners La Union Soul and Urbiz Garden, local proponents of sustainable tourism and development in the province. The first LRP donation in 2017 was of 5 boxes of a mix of 80 children’s educational books and 40 family planning and other science fiction, documentary and literary softbound books for the soon to be upgraded community library (pictured above) established by the La Union Surf Club, Inc. (LUSC) – the agency that also received the initial donation for the benefit of the children of surf instructors and local surfing community. Due to the rapidly developing coastal and sustainable tourism industry developing in La Union (LU) Province, and then the recent “House OKs Bill Naming La Union ‘Surfing Capital of the North’ last January 3rd, 2018, LU province anticipates a surge in local and international tourists. “The Department of Tourism (DoT) and other concerned agencies will develop La Union as a tourist destination. A year after the approval of the Act, the DoT, in coordination with the Department of Public Works and Highways (DPWH), the Department of Environment and Natural Resources (DENR), and other agencies, will prepare a tourism development plan for the construction, installation and maintenance of facilities and infrastructure to improve the beaches and surfing activities in the province. Abono partylist Rep. Vini Nola Ortega, the bill’s principal author, said this would help promote La Union as it seeks to attract tourists during two annual surfing seasons: July to October and November to March every year. San Juan beach front in La Union houses the highest volume of commercial surfing activity throughout the year. 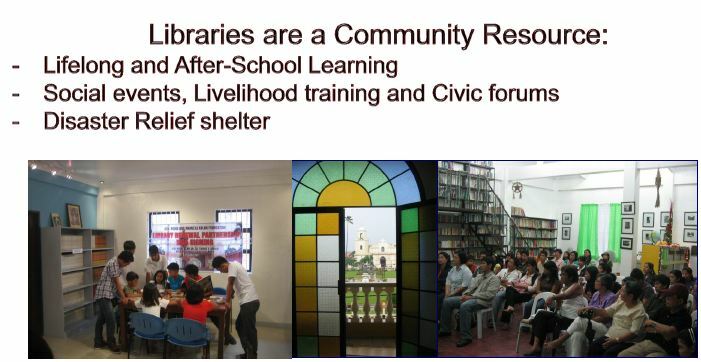 These community libraries are intended to be run by all-volunteer groups of individuals, students and teachers that support teaching of kids who are not always able to attend their schooling (for financial and other reasons), intended also to sponsor a variety of educational and informative activities for children in the community throughout the year, such as poetry talks, art workshops, indigenous musical performances, magic shows, etc. LRP is a coalition of local and international partners that aims to empower over 2 million citizens, by building at least 200 community education centres by the year 2020 and help forge an interconnected archipelago of readers and leaders. With over 75 current partner libraries, and public and private sector support, LRP is on track to surpassing and sustaining its mission. Contact FEED via email at info@feed.org.ph or mobile +63 (0)917 552 4722 for more details or to get involved!